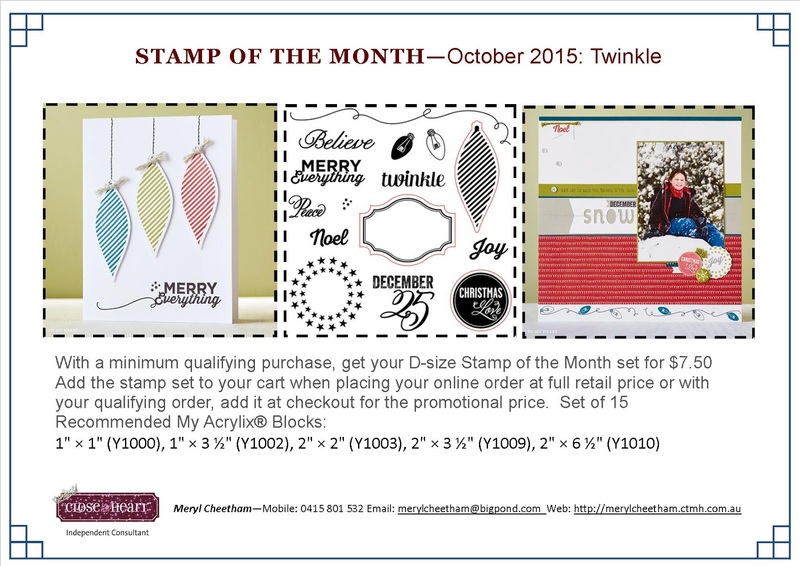 Hello and welcome aboard the CTMH Australasian Stamp of the Month Blog Hop - October 2015 - S1510 - "Twinkle"
or you may have joined in from here! 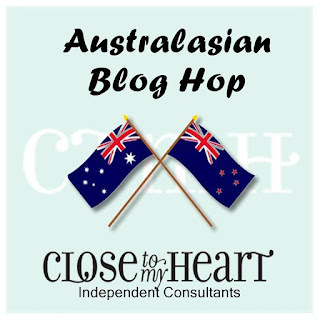 Simply read through this post and click on the link at the end for the next Consultant at the bottom to hop to the next blog. 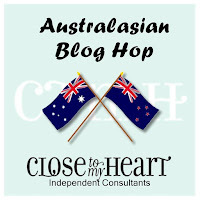 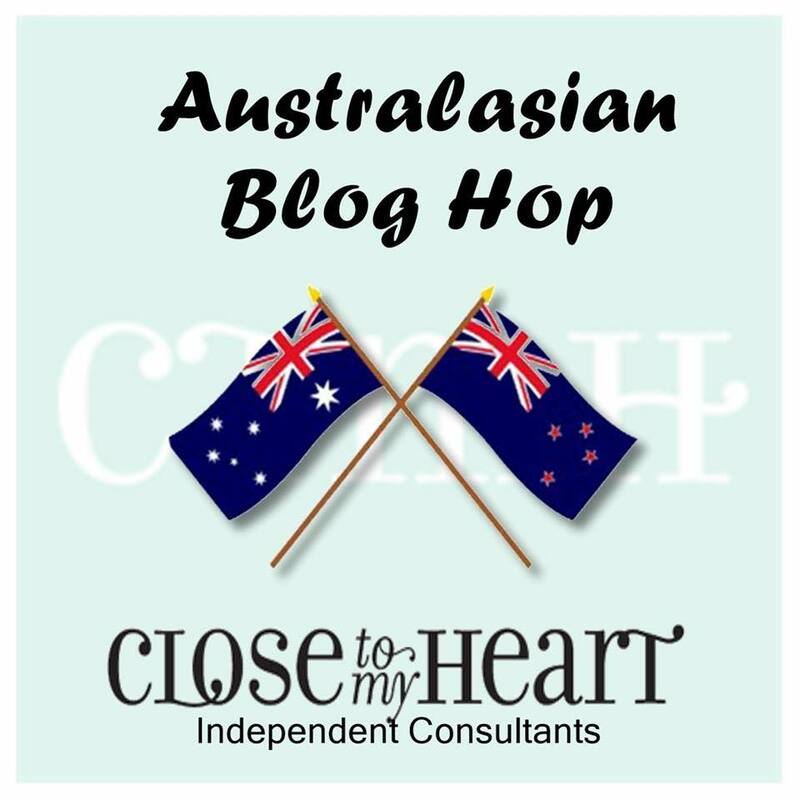 16 fellow Consultants have joined in this blog hop! 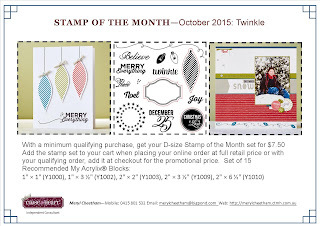 Twinkle - S1510 - October Stamp of the Month available exclusively throughout September for $27 or for just $7.50 when you spend $75. 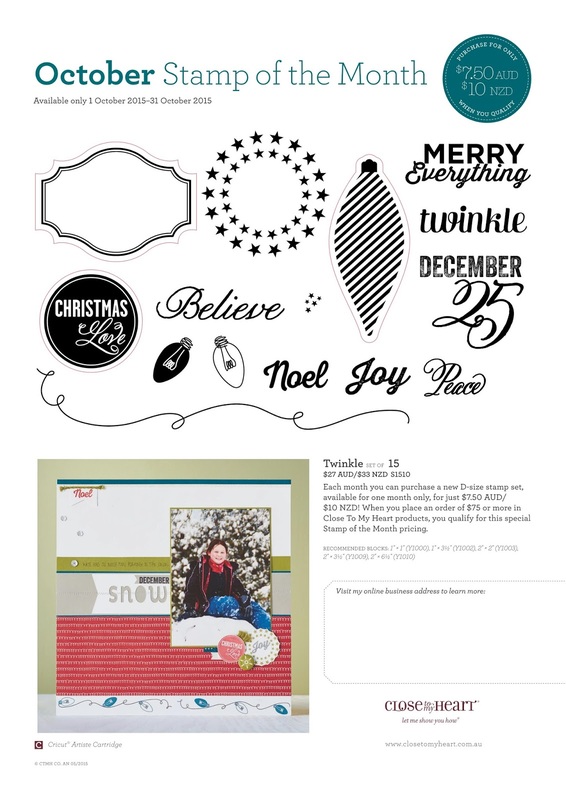 The Twinkle Stamp of the Month Stamp Set - is adorable - just love every stamp in the set and it's one Stamp of the Month - everyone needs to have! 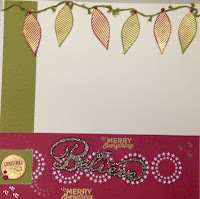 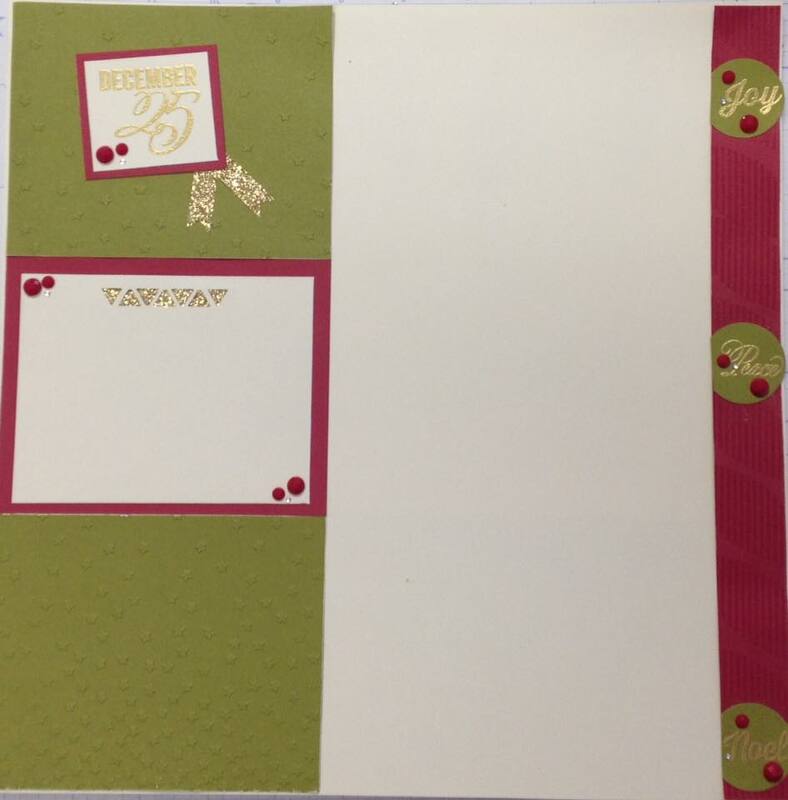 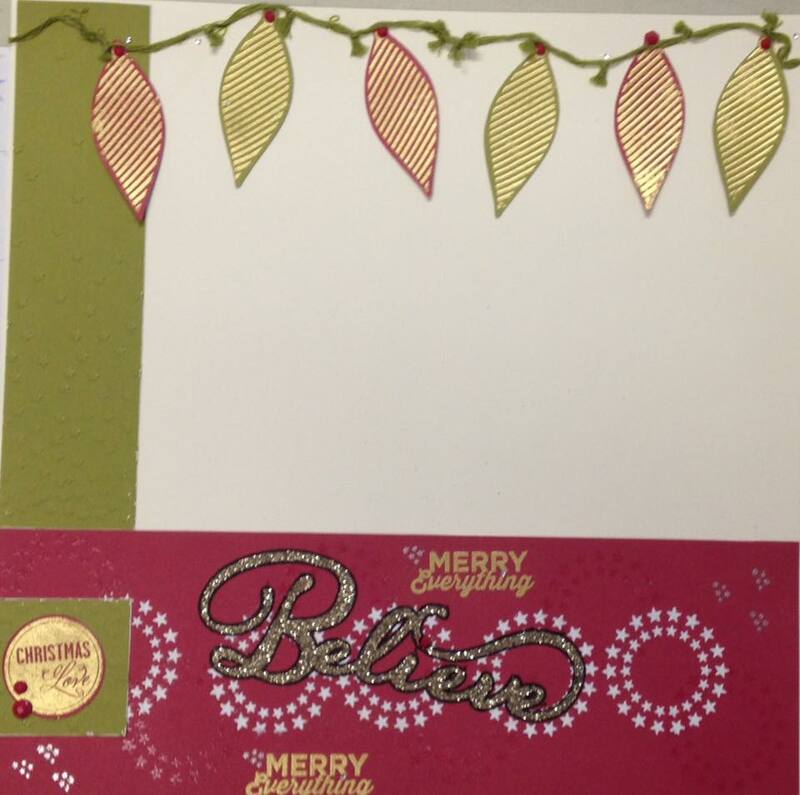 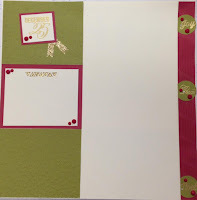 These pages were created using some of the new card stock colours introduced in August as well as Heat Embossing! 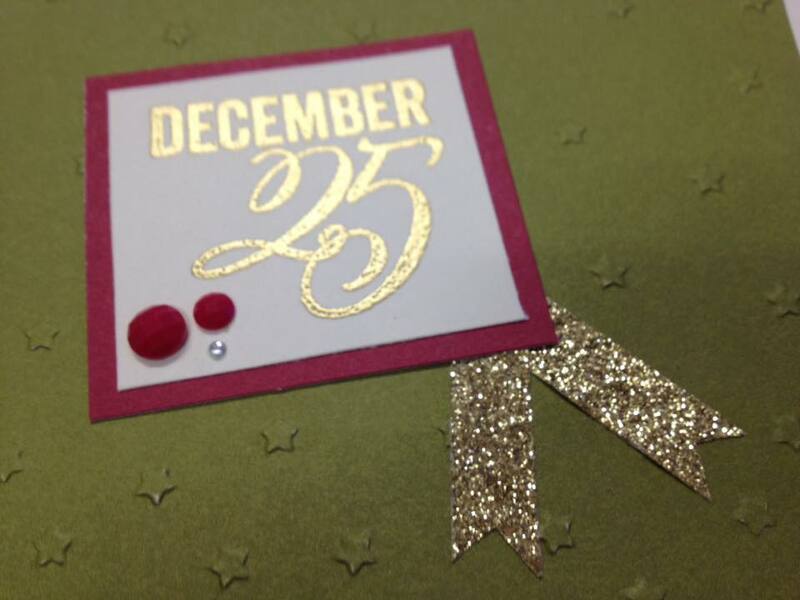 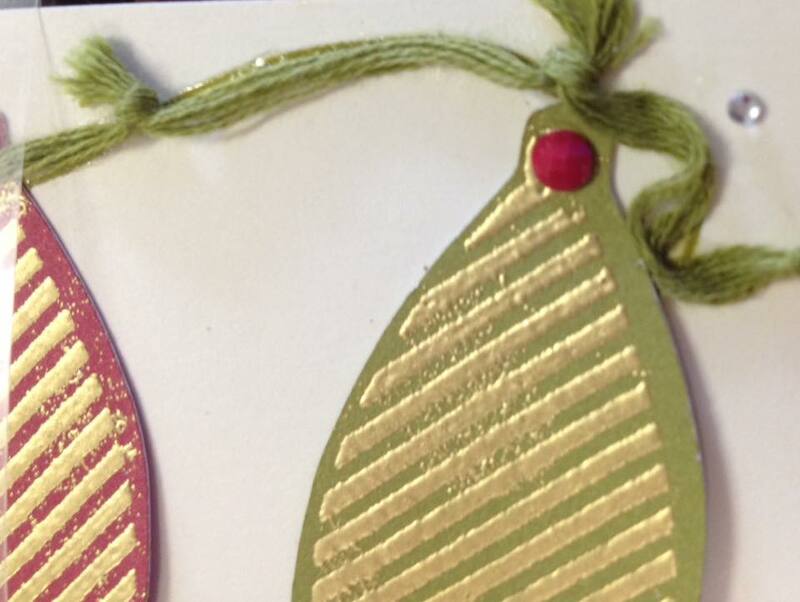 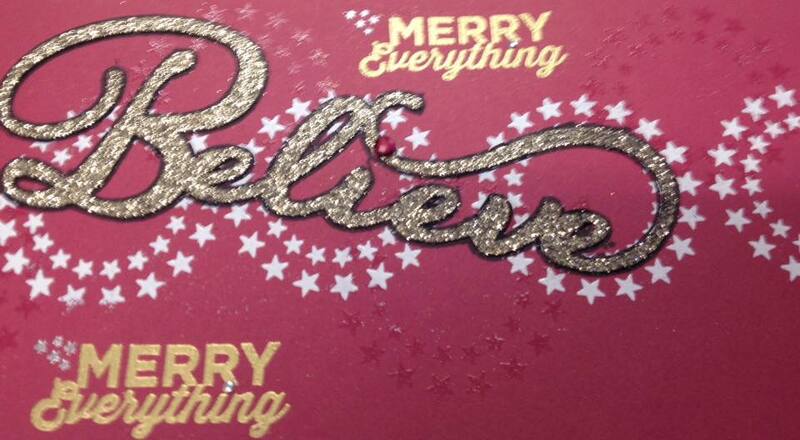 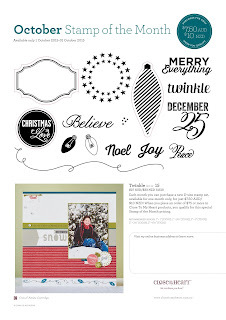 Here is a close up of some of the embellishments I've included on the double page layouts above! inches off the roll, divided into two, and knotted every 1". After stamping the banner stamp, I used Liquid Glass and followed the stamp image, laying the knotted twine along the image. 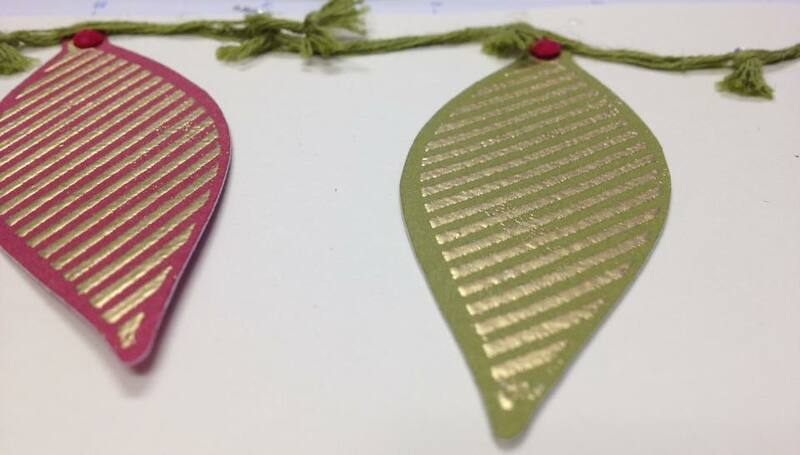 Twinkle is available exclusively throughout October for $27 or for just $7.50 with a purchase of $75.